Lauderhill Appraisers is a Florida Real Estate Appraisal company dedicated to providing lenders and individuals with rapid, high-quality residential appraisal services in the South Florida area including West Palm Beach, Fort Lauderdale, Boca Raton, Lauderhill, Broward County and Palm Beach County. If you need a Lauderhill Appraiser we are the one to call! At Lauderhill Appraisers we stand by our appraisal reports and pride ourselves on accuracy and timeliness. Our Lauderhill appraisers follow industry standard Fannie Mae and Freddie Mac guidelines. 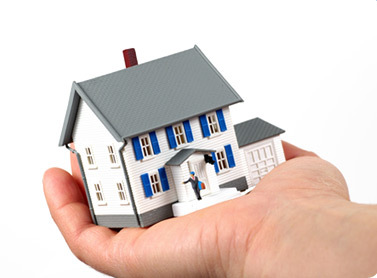 Our Lauderhill appraisers are highly qualified and state certified. We do not staff trainees or apprentices. We provide quality reports while still maintaining a rapid turnaround time. All our appraisers are state certified, meet continuing education requirements and have extensive experience analyzing property in Lauderhill and the surrounding area. If you need a Lauderhill Appraiser call us today! As of 2006 population estimates for Lauderhill was 59,621. The median income for a household in the city was $32,515, and the median income for a family was $36,723. Males had a median income of $29,756 versus $25,167 for females. Per capita income for Lauderhill was $17,243. Lauderhill is located in Broward County, about 8 miles northwest of Fort Lauderdale and 40 miles north of Miami. Lauderhill provides easily accessible to local highways including the Florida Turnpike, Interstates I-75, I-95 and I-595 and the Sawgrass Expressway. Lauderhill was Incorporated in 1959. The city developed commercially , highlighted by the 1966 opening of the Lauderhill Mall, the first enclosed air-conditioned mall to open in the southeastern United States. Lauderhill's growth was further aided by the promotional activities of the Inverrary Country Club and the Jackie Gleason Inverrary Golf Classic. Lauderhill today has evolved into a vibrant city with an abundance of single and multi-family residences and a diverse business base, ranging from service organizations to light industry.